So you’re building or rebuilding your website, and you’ve hired a new digital agency (or just a web developer) to help you design and develop it, and now they’re talking about wireframes. You stare blankly, what on earth is a wireframe? Is this just another money-making process? The answer here is unequivocally no. Wireframing is an essential element of any website project. It can save your project both time and money (and a whole heap of frustration). Let’s demystify this important tool for you. Here are the ins and outs of wireframing. The wireframe is the skeleton of your website, the bare bones. It’s the basic outline, including the main pages, the positioning of photos, text, buttons, and other functionality. It forms the framework for design, copywriting and web development. It’s the plan of the overall website structure without the colours, images and stylish design elements. It’s the same as when you build a house. Before you can start building, you need to develop the house plans. They can’t start building unless they have the plans, otherwise, they don’t know where things need to be. As with building, the wireframe is the most important element of your website project. It’s the quickest and easiest way to see the basic visual framework of the website before any design and development takes place. Why do we need wireframes? Why do we believe the wireframe is the most important part of any web project? What does it do? Finalise the layout Wireframes help the project team to identify what the best layout for your website should be. It helps the team think about the people using the website and how we want them to behave on your website. Wireframes are used to identify and help implement the best strategies to achieve the specific outcomes you want from your website such as purchasing products from the shopping cart, increasing blog views, increasing the use of your contact form, generating leads and more. Visualise the layout The wireframes can help you, the client, to visualise what your website might look like and where content will be placed once the website has been built. It can speed up design and copywriting as it delivers a visual reference to what design elements or copy is required on each page. It enables your copywriters to tailor content to fit the different sections of the website and ensure they deliver the right amount of text for each page and know what call to action text is required. Make changes efficiently and cost-effectively Wireframes are easy to adapt. We can discuss and effortlessly move or change website elements so that you feel happy with them while still achieving your desired outcomes. Understand user flow The wireframes and website structure allow us to easily ensure the navigation is user-friendly and that it’s easy to use and find information. The end user is, after all, a crucial consideration in any website project – how are they going to interact with your website? 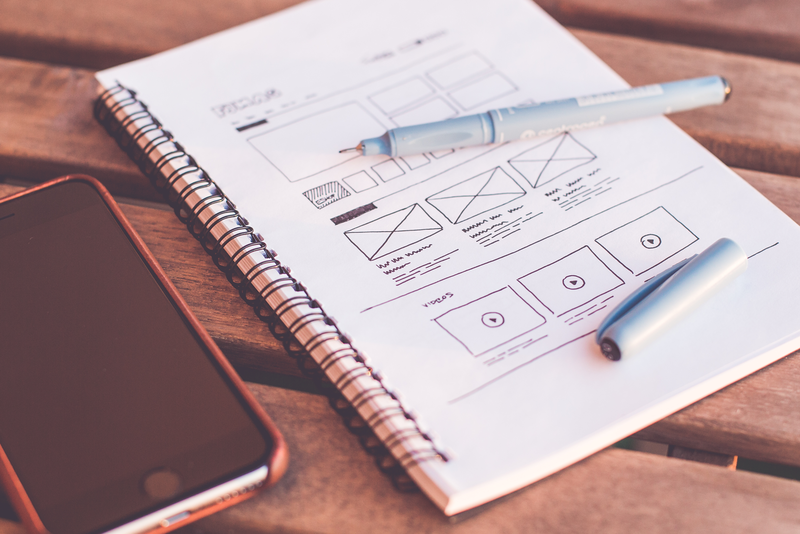 The wireframes can help you better understand how users will move through or navigate your website; they can be used to recreate user pathways through your site, ensuring that you can better plan for desired outcomes. Can we skip the wireframe phase? Too many people ask this question thinking it will reduce the project costs and speed it up, especially on big projects. As seen above, the advantages of wireframing are significant and we encourage you not to skip the wireframing phase, especially if you have a large site. Wireframes present an opportunity to avoid project blow-outs when significant changes are needed once the design is complete or the site has been developed. When compared to making changes after design or development is completed, wireframes are far easier to change. It is much more labour intensive for the designers and developers to make changes after the fact. Just like the building analogy, we used earlier, getting your planning right during the wireframe phase will limit costly changes to layout and design during the design and development phase; this is also imperative for keeping your project in scope. If you still have questions about wireframes and how they work, feel free to ask us at info@blackbearcreative.com.au.